Friend, if you’re a roofing contractor in 2019, trying to get enough business to stay in business, let alone grow some, it’s not easy. Can we agree on that? It’s hard to cut through the noise in your market – it’s difficult to sell without price being the only factor – it’s tough to find a crew of workers that show up on time every day. But if you’re the type of roofing contractor I’ve met, none of that is new to you. It’s truly the same sh*t on a different day. Waiting for tomorrow to come and things to change. If only we’d have a good storm. Then there’s always enough work for everyone. Look, there are reasons why things are this way. There are results that can be measured. It’s a mystery easily solved. What do you do and how do you go about getting new customers? 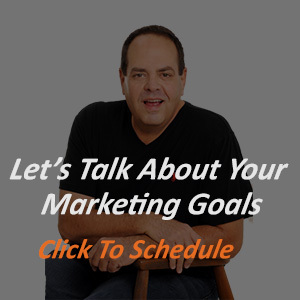 The size of your business is tied to the amount of marketing you do and how effective it is. There are the offline campaigns you run. Then there’s the online stuff. Google in particular. And Facebook. Maybe Instagram. Your reputation is everything too. We can talk about ourselves and we will in making our pitches, but there is so much more. What your customers say about you, for example. If you send a brochure in the mail and a prospective customer sees it, they’re going to check you out. At BBB. On Google. Everywhere they can think of. Only after that will they even consider calling you. If you’ve had to watch as one or more competitors who sell roofing in your town sell to your neighbors maybe this is one of the reasons. The competitors that are outselling you are simply doing things you haven’t done or are doing to win the business they get. But that’s only the beginning of what they’re getting by taking business from you. Quality trucks for his crews to work in. A nicer vacation for your family. They get to offer more and better rewards to their crews and they’re more loyal as a result. And they can invest even more in marketing next year. Does Your Current Website Help Or Hurt Your Efforts? Unless your business operates as a subcontractor and you don’t need customers to call you directly, the Internet plays a part in your success. And today, your website is a major part of the results you’re getting. There’s a high likelihood you have a website already but is it effectively selling people who need help with their roof to choose you? Without seeing yours, I cannot say. If yours is like 90% of the sites I’ve evaluated, which numbers in the thousands now, I’d find there is work to do. There’s room to improve. And if you need to get traffic to your website from people searching for a roofer on Google, there’s another set of issues to deal with. Let’s look closer at that. If Google Hated Your Marketing, Could You Even Tell? It’s an odd question, yet, now that we’re in 2019 I find more and more contractors who have websites that Google hates. As a result, their visibility in Google is compromised. How do I know? It’s easy. Just look at your rankings in Google. Let’s run a test on one of the big, important keywords and see how you’re doing. Go to Google and type “roofing contractor city”, but replace city with the name of your city or town. Are you listed on the first page of results at all? Anywhere? In any of the many different types of results? In most markets, there is an ad block at the very top of the page now – it’s three ads for local roofers. It’s usually marked with a green checkbox and it says “Guaranteed by Google”. Are you listed there on the first page? Ok, now as we scroll down the page we have some regular Google Ads. Is your business a regular advertiser on Google? If so, are you listed among the top 3-4 ads at the top of the page? Next, we have the Maps listing which is powered by your Google My Business data. In most markets, we see 3 roofing companies there but in some, there are two and the third is an advertiser. Which spot does your business command on the maps? Finally, as we go towards the bottom of the search results we find the organic listings. These are the businesses who Google deems to be “best” and clearly good enough to be shown on the first page. Is yours listed? If you were keeping score of your results, here’s the real question. Are you satisfied? Yes, it’s only one keyword and you are welcome to run the same test for many other keywords but my point is simple. What I do is not for an individual roofer looking for small jobs. It’s also not for companies that operate as subcontractors. However, if your business is dependent on Google, meaning you need local homeowners to find you in search engines and call or contact you to earn the sale, then you’ll like what I’m about to tell you. And, if you are the type of roofing contractor I work with, you’re always on the hunt for something, anything that can give you an edge… no, it’s more truthful to say you are hungry to dominate and think about it often. Your goals and dreams – for you and your family are big enough to compel you forward. If that’s you then you’ll like what I do here. And before you get through reading this letter, you’ll know how to proceed. I’ve been marketing my own businesses on the Internet since 1998 but in the last 10 years, I’ve largely consulted with other businesses on how to increase their sales. Over the past 5 years, I’ve written and shared a few hundred articles about roofers and their marketing. I’ve also written two books, one specifically for roofers. More importantly, I’ve served about 20 clients, most of whom own and operate small roofing companies. After checking me out, they decided to have me fix the problems they were having with their Google marketing. The result? Each has found their business better than when we started. Do I Have Proof of That? One firm who had never sold more than $2.5M in services hit $8.6M in revenue after working with Top Ranked Roofer. Two years ago he installed over 504 roofs. Another went from being invisible in search results and maybe even had been defrauded by the marketing firm they worked with, to getting invited to quote on virtually every commercial roofing job in their area. Still another was once invisible in his market and now thoroughly dominates search results; at times the number of calls and leads almost crushes him. Yet, some contractors still couldn’t be bothered. Many are satisfied to remain the same while holding onto the excuse that “it’s too hard” or “I’m just too busy”. If you’ve read this far and that describes you, then there’s no reason for you to continue reading. I simply want to thank you for your time and attention. If you want more, click the button below and keep reading.